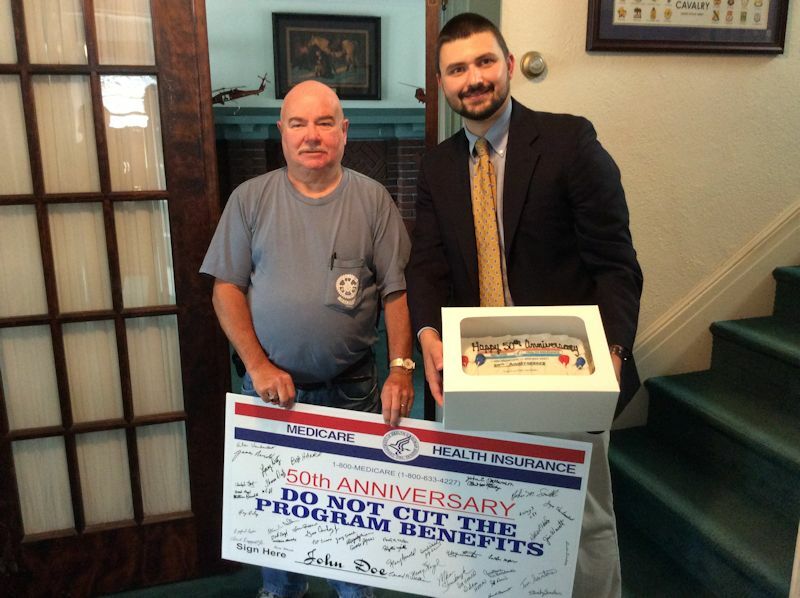 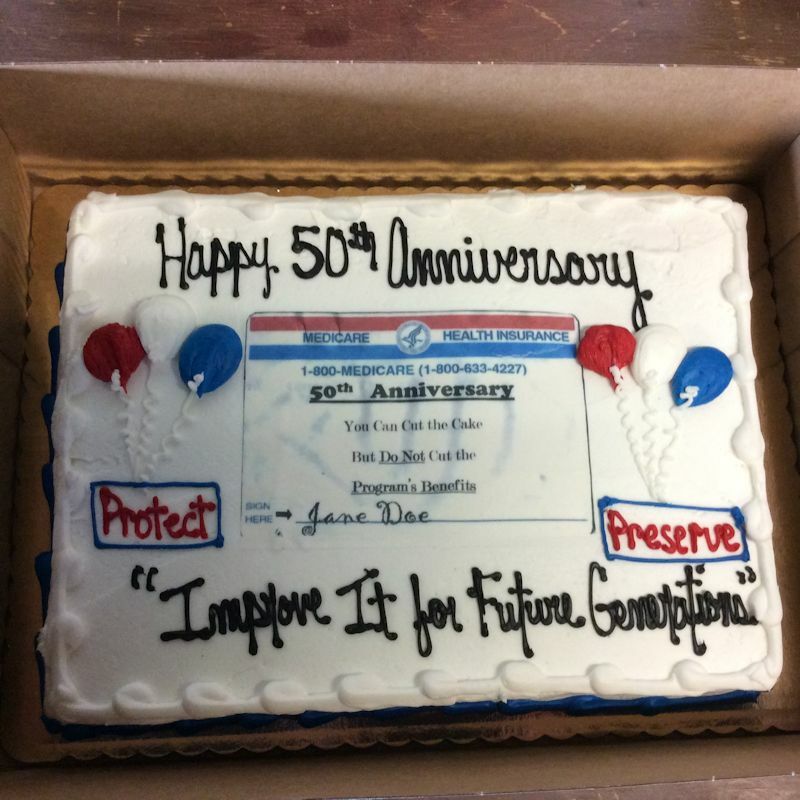 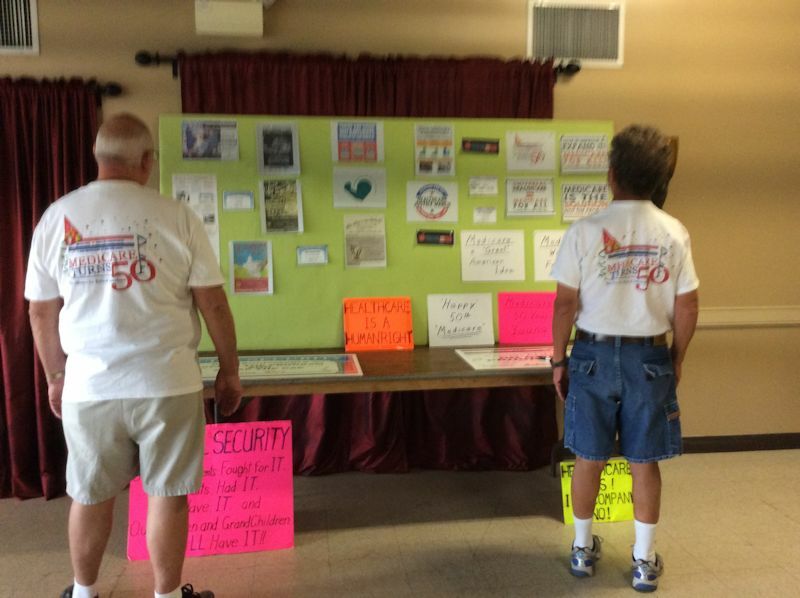 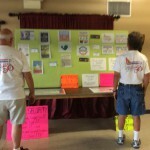 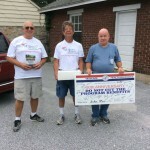 Medicare 50th & Social Security 80th Anniversary Party – held by District Lodge 98 Retiree Action Group. 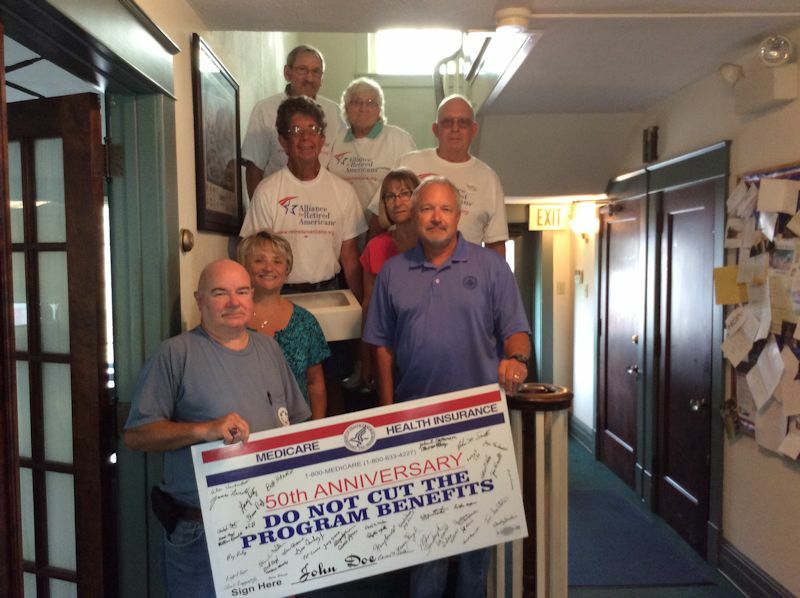 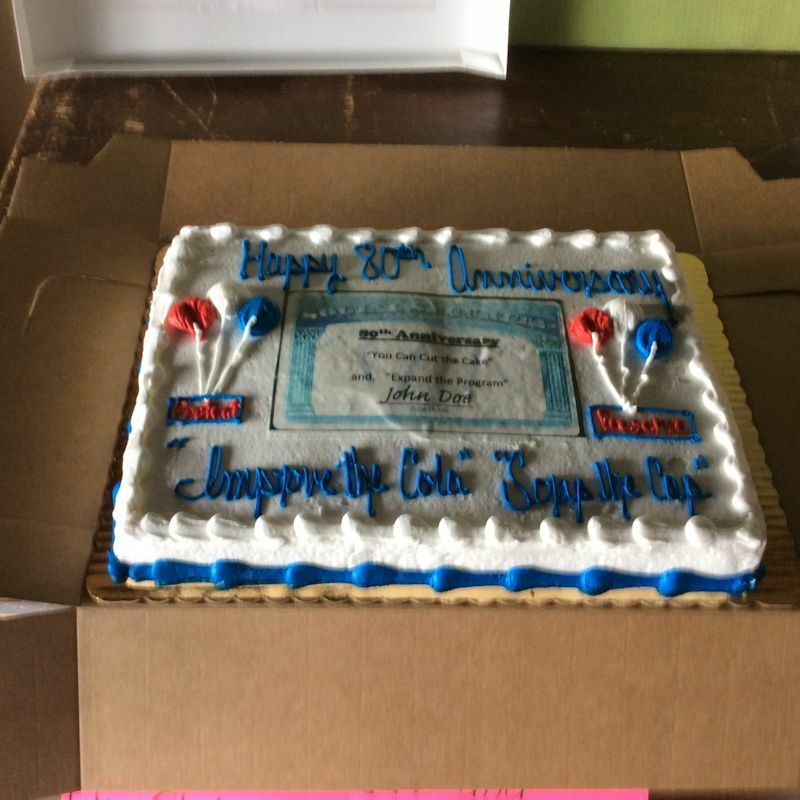 District Lodge 98 Retirees Action Group had an anniversary party at their July 21, 2015 meeting. The party was held to celebrate the 50th Anniversary of Medicare signing by President Lyndon B. Johnson on July 30, 1965; and the signing of the Social Security Act by President Roosevelt on August 14, 1935. 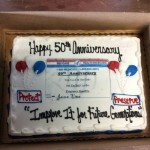 President Roosevelt became the first president to advocate federal assistance for the elderly in the USA. 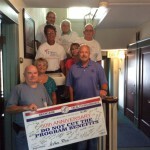 50 members and guests attended the party at the District Lodge 98 Union Hall. 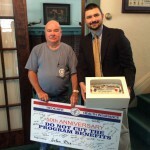 After the Medicare/Social Security anniversary party several members and guests went to Representative Scott Perry’s office (4th Rep District) in York and presented his office staff with the signed card, a book, and a small anniversary cake. 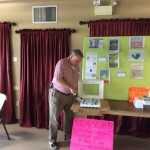 Rep. Perry was in Washington DC that afternoon and not available, but his staff did meet with us and talked about Medicare and Social Security. 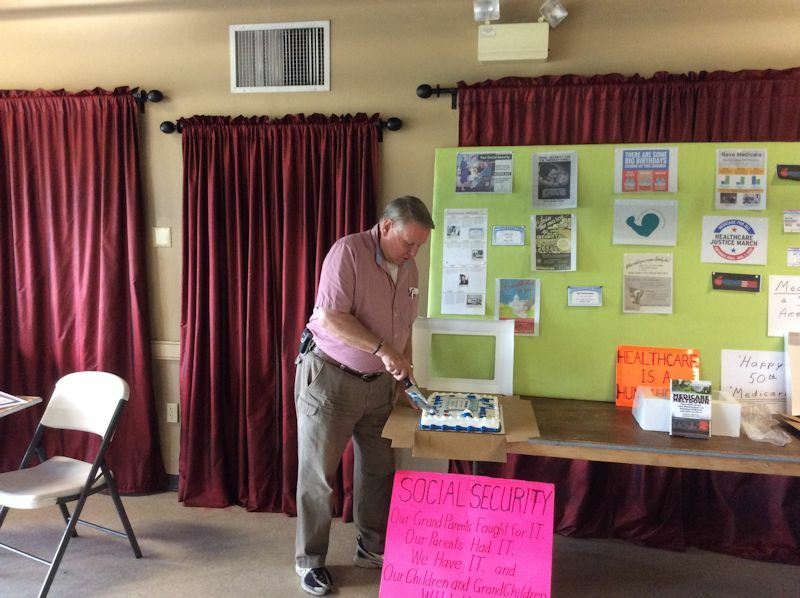 PA Alliance for Retired Americans – President Burton cutting the cake.